When you hide or minimise the Panopto recorder on macOS Sierra, it will stop recording the screen. You will need to download and install the newest version of the recorder. If you’re on an Aston managed Mac, contact the IT Helpdesk. 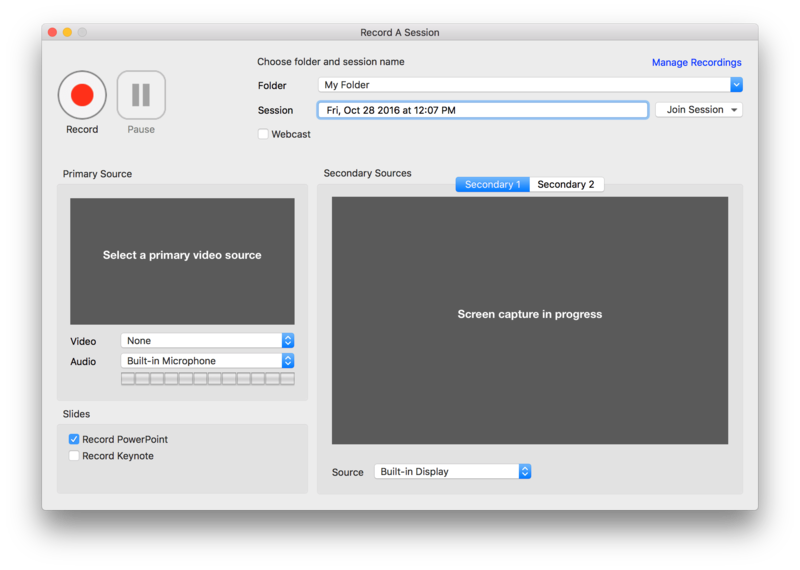 Note that the new recorder will not show you a preview of your screen, but it will be recorded. This does not affect users running earlier versions of OS X.